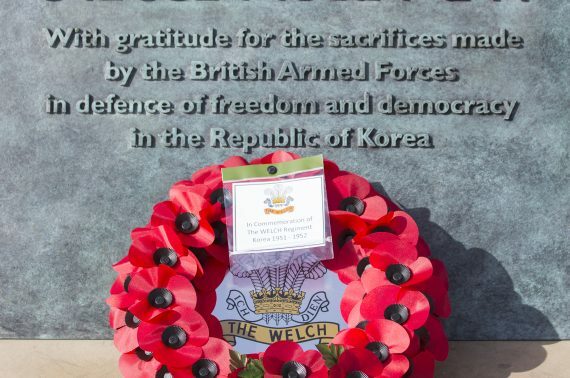 The complex planning negotiations for this memorial project included finding an appropriate site (one of the last-remaining sites in the Whitehall and St James’s Monument Saturation Zone), designing the memorial and achieving planning consent in time for the inauguration of the project by the President of Korea and Prince William during the President’s State visit to the UK in November 2013. 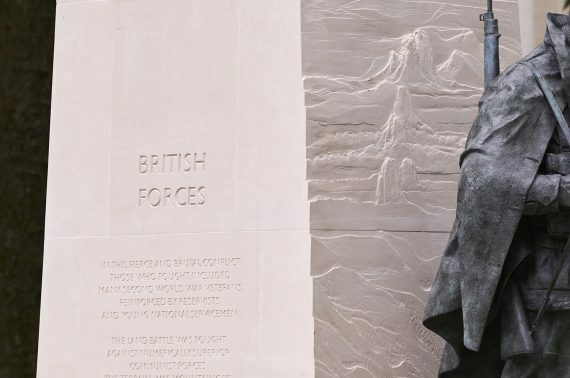 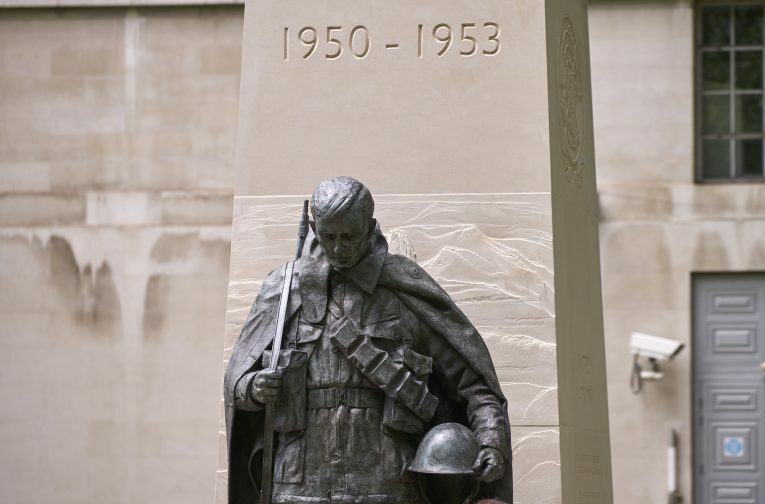 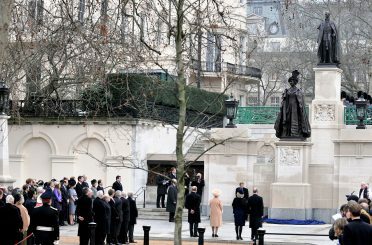 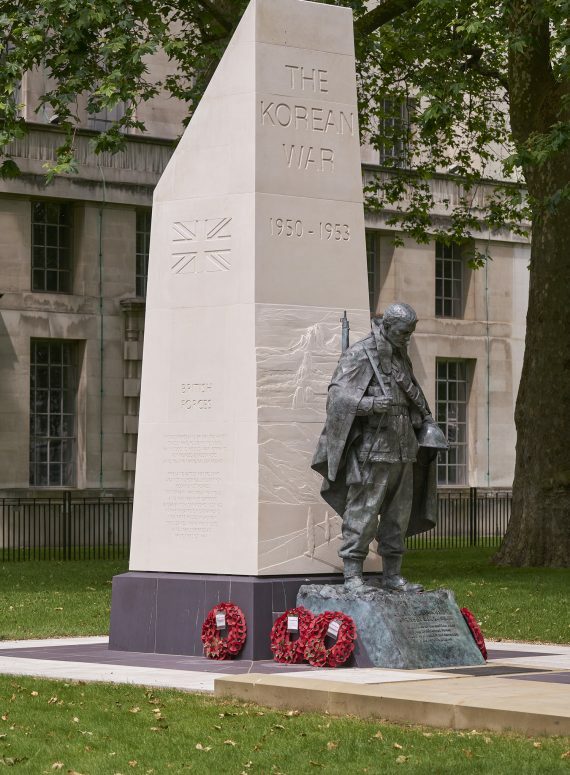 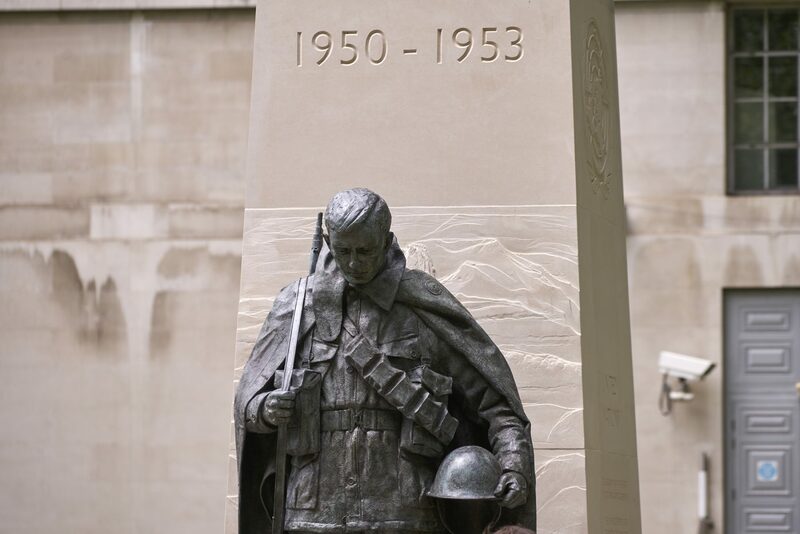 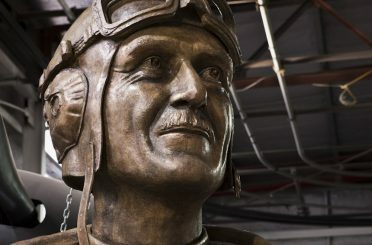 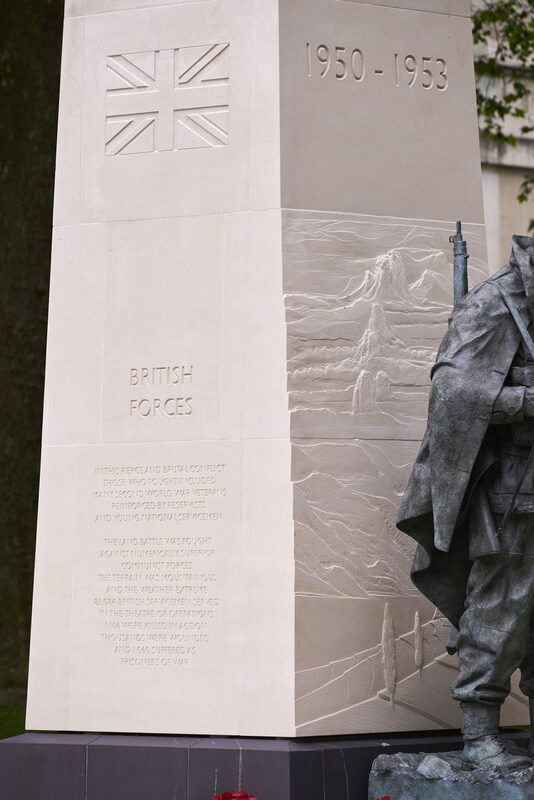 The completed memorial is in the form of a bronze figure of a British soldier in authentic Korean War uniform, by sculptor Philip Jackson, in front of a truncated Portland stone obelisk on a slate base. 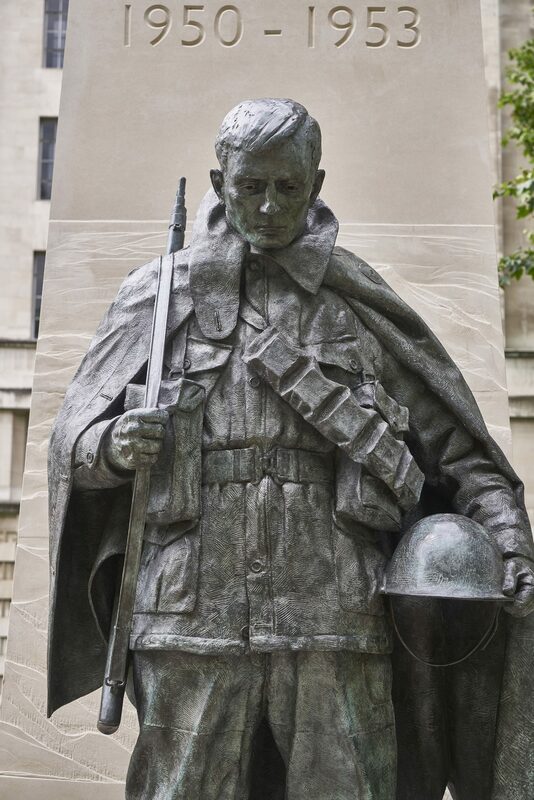 The soldier is depicted looking downwards, as if in front of a battlefield grave (as suggested in the paving pattern). 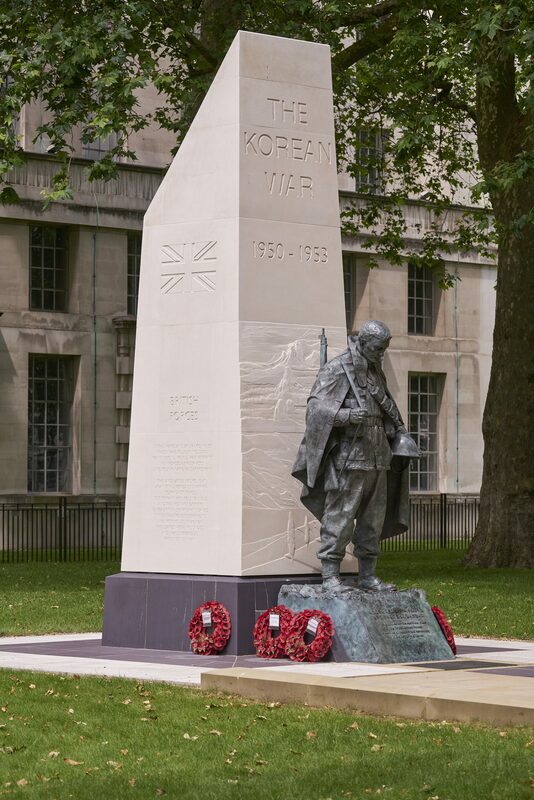 The stone carving on the obelisk was carried out by Harry Gray and includes depictions of a Korean landscape (behind the soldier, there is a map of the Korean Peninsula (on the opposite side) and the United Nations and British flags, with related inscriptions). 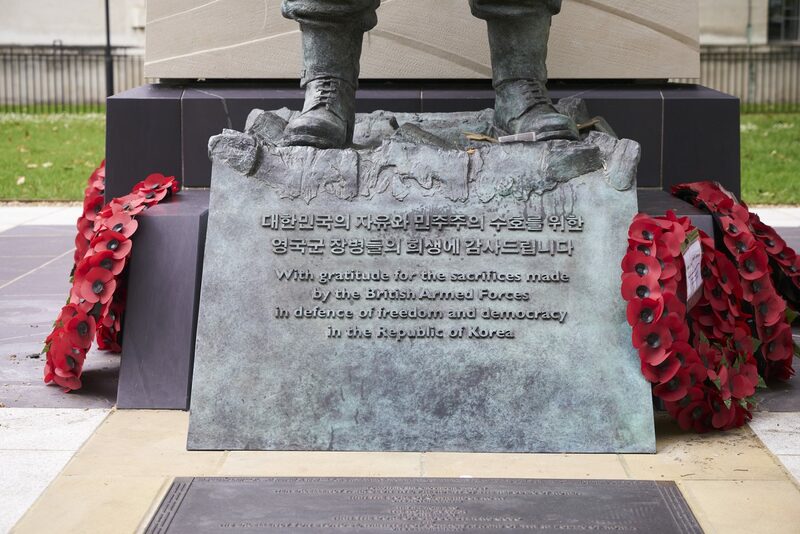 The paved setting includes granite from the Korean mountains fought over during the conflict.